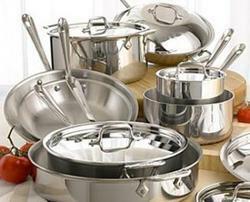 We are a distinguished manufacturer, supplier and exporter of a wide range of Kitchen Cookware. These utensils are made using high-grade copper and other raw material that are sourced from reliable vendors of the market. Our utensils are demanded for their features like corrosion & heat resistance, easy handling, perfect finish and durability. Owing to these features our products are used in hotels, restaurants, food corners and homes. Our range includes Copper Bottom Uralis, Copper Bottom Kadahis, Copper Bottom Handis and many more. 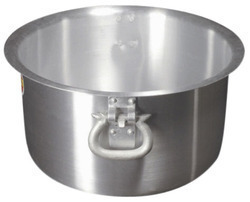 Our firm specializes in providing an exclusive range of Stainless Steel Kadai. 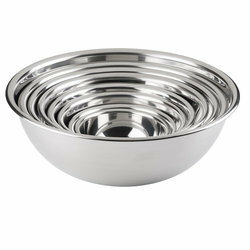 We carefully manufacture these products using superior quality stainless steel that are sourced from the authentic vendors of the market. Moreover these are processed under latest technologies. These are available with us in various sizes and our clients can purchase these from us at affordable price ranges. 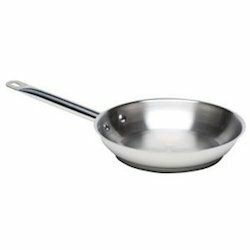 We are counted amongst the well recognized company offering an exclusive range of Stainless Steel Saucepan.These are made using superior quality of stainless steel and aluminum.We have a team of professional experts to supervise the manufacturing process of this cookware. Our clients can avail these from us at market leading rates. We manufacture Stainless Steel Coffee Warmer in Different Shapes, quality and finishes and export them to leading countries of the world. Kindly contact us for further details on these. 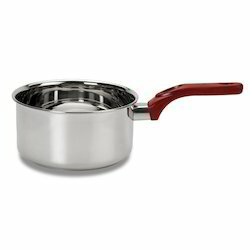 With vast experience and knowledge we are involved in offering a premium quality range of Induction Cooking Pots. 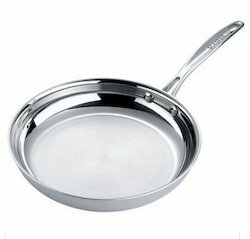 We are considered as the leading manufacturers and suppliers an exquisite range of Stainless Steel Fry Pan. 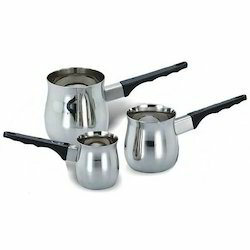 Appreciated for its classic appeal and superior heat distribution these are made our of magnificent quality steel. In addition these are tested on defined parameters under the supervision of our professional experts. These are available in various sizes, our clients cam purchase these from us at economical prices as per their requirements. 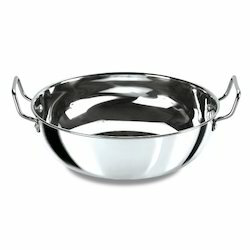 Looking for Kitchen Cookware ?